People who want to book a one-way ticket to FUN TOWN. OK, I promise that that’s the last time I’m going to say that… it’s actually making me cringe. People who are looking for a new fictional best friend that will make them realise how boring and ordinary their lives are. 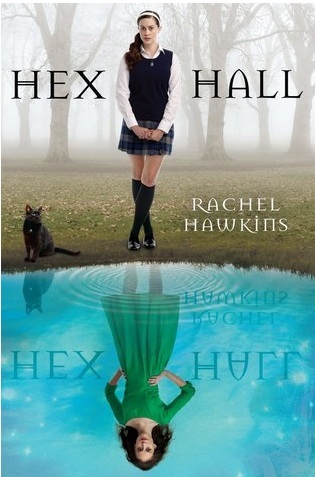 People who have always thought their world would end when their acceptance letter to Hogwarts got lost in the post… don’t worry, Hex Hall will take anyone. People who would be able to think of witty responses to a werewolf lunging for your jugular. People who are sick of others being suspicious when they ask them to join their secret coven. People who immediately think of singing Pocahontas songs when they’re outdoors. People who will always lust after the groundskeeper. People who wish their detentions had been that fun… mmmhmmm. People who maintain that boys who are rude/arrogant/downright nasty are just that way because they are completely and secretly besotted with you. It’s true. Right? People who wish their stoopid school had had a prom so they could wear beautiful dresses and get their hair done all fancy… we did get to go to Alton Towers though, which was amazing and didn’t end with a gabiilion girls crying in formal wear, which I imagine happens a lot at proms. Although, I probably would have more luck finding a prom date than finding someone to go on Air for the third time in a row. Wimps.